ENSENADA, Baja California, Mexico — Continuing to add to its storied legacy of more than four decades as the World’s Foremost Desert Racing Organization, SCORE International returns once again to its racing roots for this week’s internationally-televised Lucerna Hotels & Resorts Tijuana 22nd SCORE Desert Challenge. The event is Round 3 of the four-race 2018 SCORE World Desert Championship. Race-week festivities will be held Thursday and Friday in the Zona Rio area of Tijuana with racing Saturday and Sunday starting and finishing at Rancho Casian on the southeast outskirts of Tijuana. 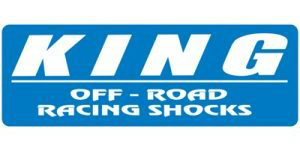 With entries from 22 U.S. States and six countries, the race features classes for Pro and Sportsman cars, trucks, UTVs, motorcycles and quads. Having held nearly 160 races in Mexico in the last 44-plus years, this will be just the second time that SCORE has held a race that has both started and finished in Tijuana, the growing metropolis immediately across the border from San Diego in Baja California. In 1967, the first SCORE Baja 1000 (then called the Mexican 1000) started at the bull ring in Tijuana and the 1995 SCORE Baja 1000 started in the wash near the Hotel Lucerna in Tijuana but no SCORE race had ever finished in Tijuana before last year. Moving to the largest city on the Baja California peninsula last year, this race utilizes a special split format two-day event with two laps each day over a 33.7-mile loop course (134.8 total race miles) as the Lucerna Hotels & Resorts Tijuana 22nd SCORE Desert Challenge. Race headquarters will be the Hotel Lucerna in the heart of the Rio Zona area of Tijuana on Avenida Paseo de los Heroes. Racer registration will be held in the hotel on Thursday from 2 p.m. to 8 p.m. PT and Friday from 9 a.m. to 4 p.m. PT. Media registration will be held at the Hotel Lucerna on Thursday from 1 p.m. to 6 p.m. PT and on Friday from 9 a.m. to 5 p.m. PT. Contingency will be held in directly in front of the headquarters hotel on the historic Avenida Paseo de los Heroes from 9 a.m. to 5 p.m. PT on Friday with tech inspection lasting one hour longer until 6 p.m. Both being held at the Hotel Lucerna on Friday, the mandatory aircraft pilot safety meeting will be held at 6 p.m. PT followed by the mandatory racer meeting will be held at 7 p.m. PT. Celebrating its 25th year as the featured SCORE racing division for high-tech, 950 horsepower unlimited trucks, SCORE Trophy Trucks, the post-race awards celebration will be held in the start/finish line area on Sunday, at 5:30 p.m. PT for Group 1 and Group 2 and at 7:30 p.m. PT. “The colorful Contigency day and Manufacturer’s Midway from 9:00 am to 6:00 pm on Friday in front of Hotel Lucerna on Avenida Paseo de los Herores in the Zona Rio area of Tijuana, will provide a great pre-race family atmosphere to see the incredible desert racing cars, trucks, UTVs, motorcycle and quads and meet many of the famous racers”. Among the racers who drew first starts along with the number of entries to date in their respective classes are: SCORE TT Legend – No. 12L Gustavo Vildosola Sr, Mexicali, Mexico/Scott Bailey, Riverside, Calif. Chevy Silverado (builder-ID Designs) (14 Entries to date); Trophy Truck Spec – No. 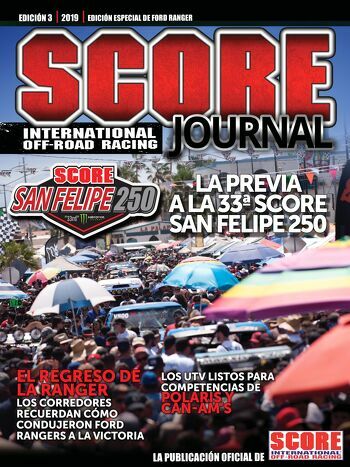 276 Gerardo Iribe, Miami, Fla. (Rosarito Beach, Mexico), Curry/ISRT-Chevy 1500, (14 entries); Pro UTV FI – No. 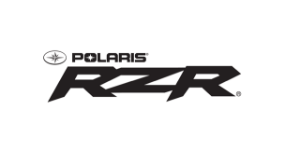 2971 Wayne Matlock, Alpine, Calif., Polaris RZR XP4 Turbo (race-high 18 entries); Class 1 – No. 129 Brandon Bailey, Riverside, Calif., Alumi Craft-Chevy (six entries); Class 10 – No. 1062 J.J. Schnarr, Reno, Nev., Alumi Craft-Chevy (14 entries); SCORE Lites – No. 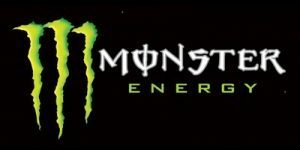 1258 Jeremy Davis, Chino Hills, Calif., Porter-VW (seven entries) and Pro UTV NA – No. 1985 Adrian Arellano, Jamul, Calif., Polaris RZR XP1000 (six entries). With 151 official entries to date, there are racers from 22 U.S. States and six countries. Nations are USA, host country Mexico, Canada, Italy, New Zealand and Peru. States with racers so far are Alaska, Arizona, Arkansas, California, Colorado, Connecticut, Florida, Idaho, Kansas, Louisiana, Missouri, Nevada, New Jersey, New Mexico, New York, Oklahoma, Oregon, South Dakota, Texas, Utah, Virginia and Wyoming.